Hangs on your fridge for quick and easy knife touch-ups. 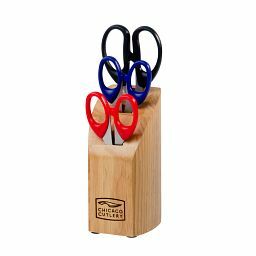 Keep your Chicago Cutlery® knives at their precision-edged best with our handy manual sharpener. Its tension-locked slot pops out so you can slide blade through and over ceramic honing rods inside. 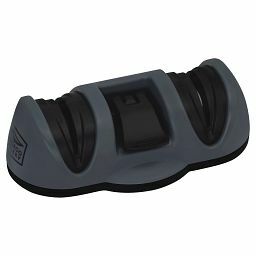 Magnetic back lets you store it where it’s always easy to find. For best results, hand wash your knives with soap and water and dry immediately. Soaking wood-handled knives in water can remove the natural oils from the handles. DO NOT put knives in the dishwasher. Dishwasher use may cause nicks on the blade edges. Additionally, the heat and detergent may have a corrosive effect on the knives and damage the handle. DO NOT cut through bone with knives or use knives to poke, pry or separate frozen foods. DO NOT use knives as screwdrivers or can openers. 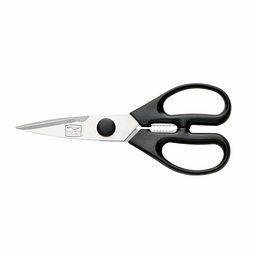 This is not their intended purpose and can bend or break the blade or edge. Sharp knives should never be stored loose in a drawer because contact with hard objects can dull the blade. 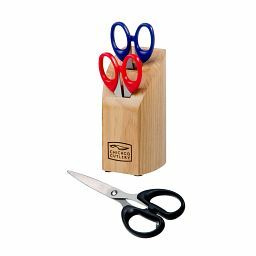 Many CHICAGO CUTLERY sets are sold with a hardwood block for safe, convenient storage. MAGNASTRIP® storage is another way for convenient and safe storage, saving counter space with a magnetic strip. CHICAGO CUTLERY knives purchased individually are available in blade protectors. 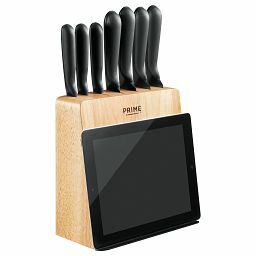 The blade protectors help keep the knife sharp and provide safe and convenient storage at home. 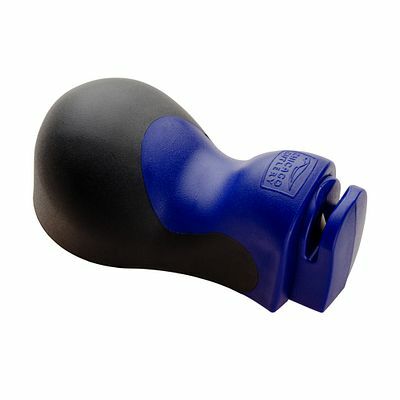 Sharpeners are not for use on scalloped or serrated edges. 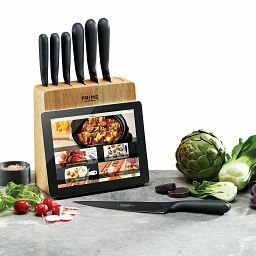 For optimum performance, knives should be sharpened after every couple of uses. Use a scouring powder after use to clean and remove metal particles from your sharpening steel. After cleaning the steel, rinse with water, dry it thoroughly and store in a dry place. 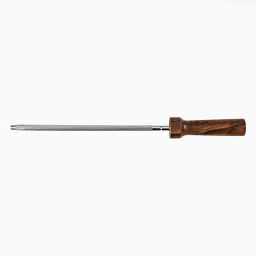 Hold sharpening steel point down on flat stable surface such as a table or cutting board. Angle knife blade approximately 15 degrees from the sharpening steel. Imagine the knife blade is at approximately 11 o’clock and 1 o’clock. Pull the knife down and across the sharpening steel in a slight arc, pulling the knife handle toward you. Repeat on the other side of the steel. Repeat these steps 3-5 times, alternating the right and left side of the cutting edge. Corelle Brands promises to repair or replace, or at Corelle Brands’s option, exchange for an item of equal or greater value any CHICAGO CUTLERY® knife or shears with defects in material or workmanship for the lifetime of the product. This warranty does not cover damage resulting from negligence, misuse, abuse, institutional/commercial use or use for purposes other than normal household use. This warranty does not cover wood blocks or wood cutting boards. 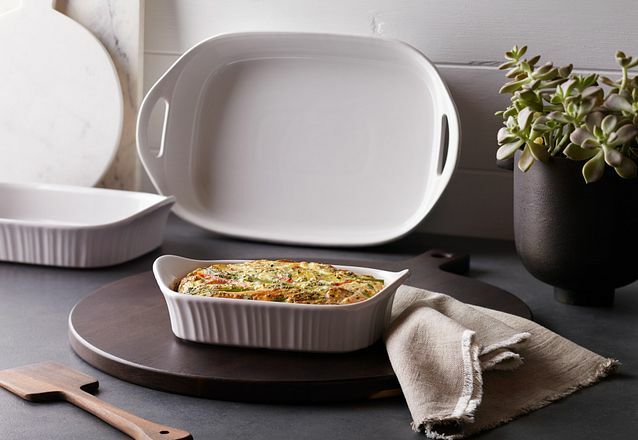 Should a warranty problem develop, contact Corelle Brands at 1-800-999-3436. KEEP THE PRODUCT. You may be asked to return it. Incidental and consequential damages are expressly excluded from this warranty. Some jurisdictions do not allow this exclusion or limitation, so the foregoing exclusion or limitation may not apply to you. This warranty gives you specific legal rights and you may also have other rights, which may vary from jurisdiction to jurisdiction.